This netting has been specially developed for the specific conditions in shrimp beam trawling. 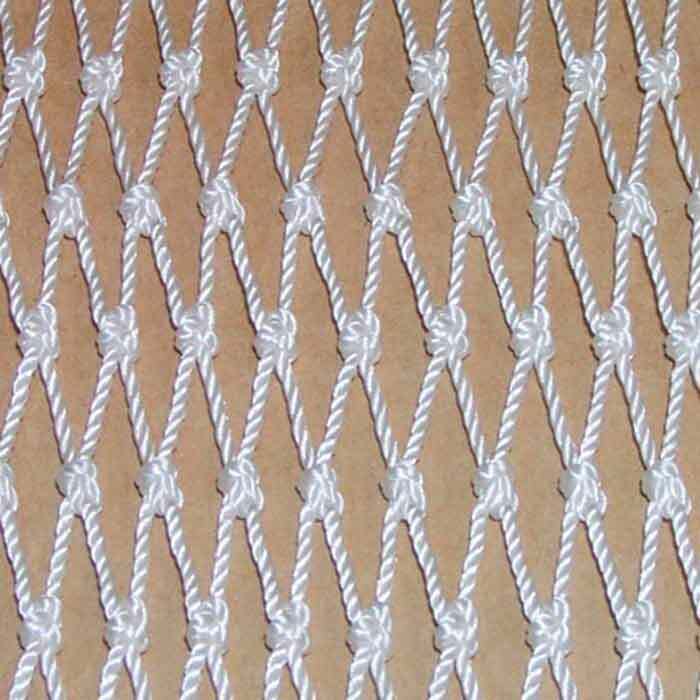 To ensure even mesh bars and high tightness of the knots the netting is being fixed on frames and stretched in depth direction, then the impregnation material is being applied and while keeping the tension a carefully controlled heat treatment is finishing the process. For many years the outstanding performance of our shrimp netting is well know by all fishermen along the german North Sea coast. The white impregnation makes the netting compact for low towing resistance and good water flow, prevents from mud and dirt penetrating the twine, provides a certain protection against abrasion and it extends the useful life time.